Welp, it is without a doubt now officially fall. With the cooler air and water temps that we've been experiencing lately, I decided I had better get to the river to do a little bit of wet wading while temperatures still allow. 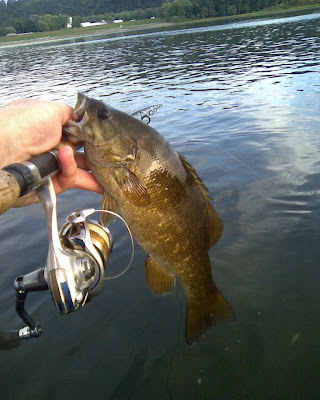 So, I spent a couple hours one evening this past week splashing around the Susquehanna. 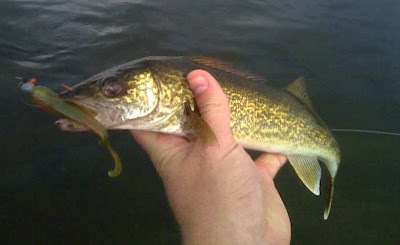 It was my hope that I would find a couple early season walleyes, as well as some smallmouth bass. As luck would have it, I did. I didn't catch a lot, but ended up with 2 walleyes, 3 smallmouth, and a big fallfish. The largest walleye was about 16 1/2 or 17 inches. He would have been a nice one for the pan, but I let him swim away. I did not have my regular camera along for this trip, but I did take a couple pics with my cell camera. 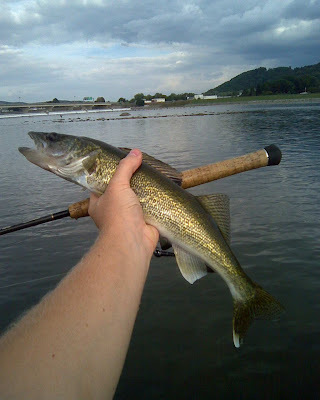 I apologize if the images aren't quite what they should be, but this really is just the start of walleye season and its my hope to get lots of good pics in the months to come. I guess that is all I have to share for now. If you are reading this, I hope that you have been able to get out and enjoy the outdoors recently--and maybe catch a few fish as well. Hope to see you on the water!